No one does romance better than the French and Paris is the ultimate city of love! 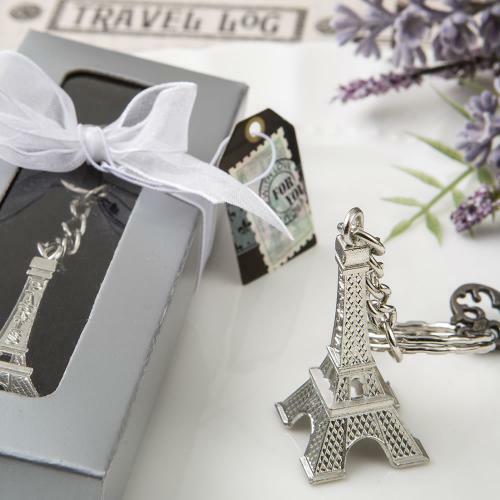 These stunning Eiffel Towers make the perfect favour for any romantic occasion. The keychain is made from all metal and features a three-dimensional replica of the Eiffel Tower plated in a silver color. The Tower features an intricate girder design and is marked with the word 'France' on one side. The Eiffel Tower has a silver metal ring on top that holds a silver metal chain attached to a silver metal keyring.